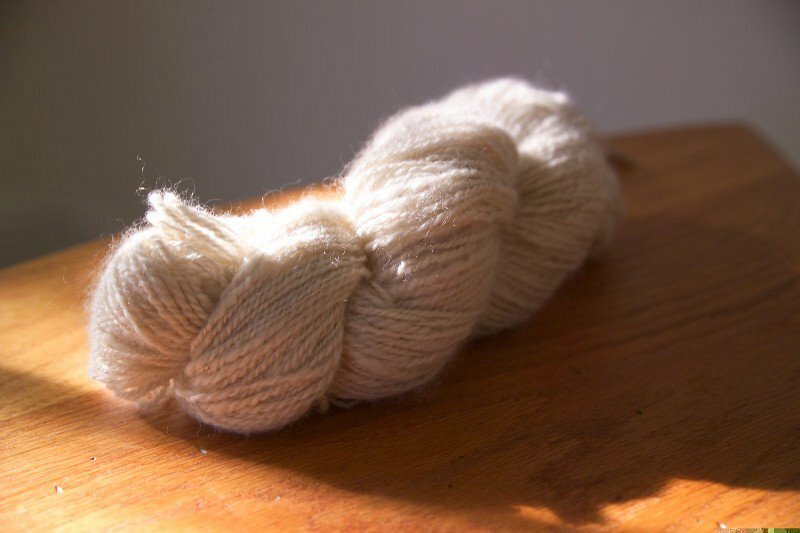 yup, that's handspun cashmere. 230 yards of it, two ply, dk weight. This is the cashmere I wrote about in Knitlit the Third. It's great stuff. Like crack for fiber people.